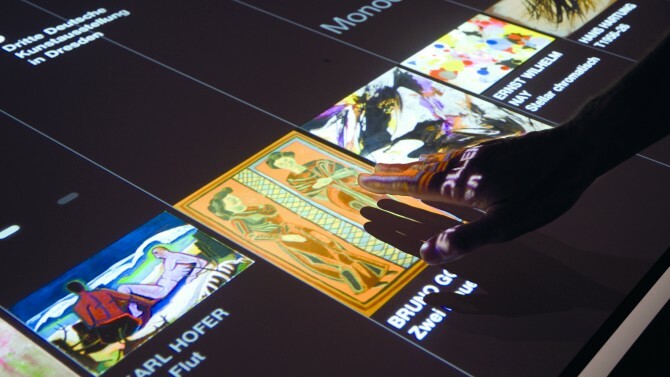 Initiated by the Stiftung für Kunst und Kultur Bonn (Foundation for Art and Culture Bonn), an exhibition was held at the Martin-Gropius-Bau in Berlin on the 60th Anniversary of the Federal Republic of Germany. The temporary show presented key works of German art in the fields of painting, graphics, sculpture, photography and installation: one outstanding work referring to each year since 1949, by artists like Beuys, Immendorff, Baselitz or Rauch among others. 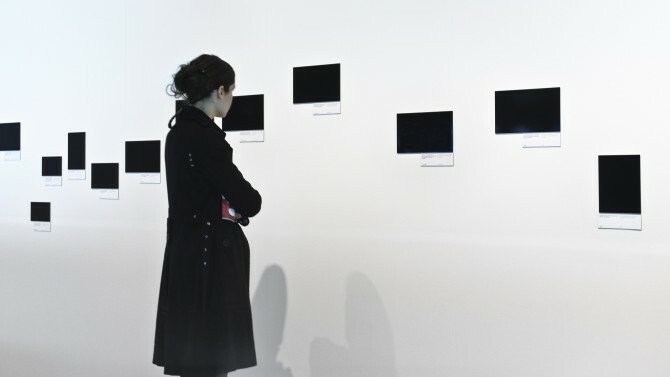 ART+COM was in charge of the exhibition and media design. 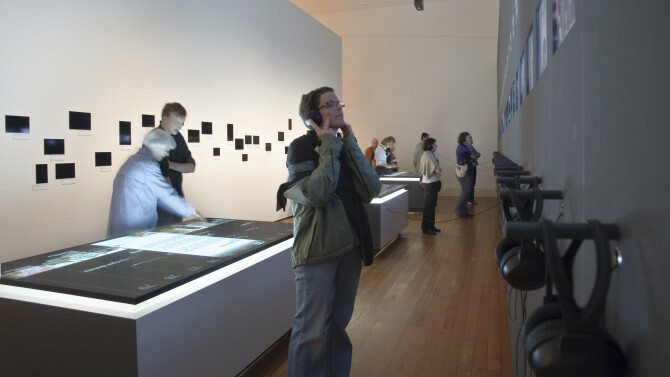 The objective was to place the art in the context of the politics and art history of the time of their creation and thus to make understand the history of Germany through the mirror of art. 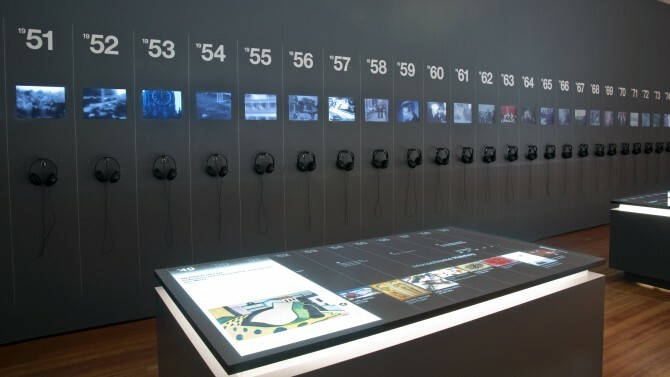 For this purpose, ART+COM designed two media spaces with interactive tables, “time images” and film walls which brought back 30 years of history. 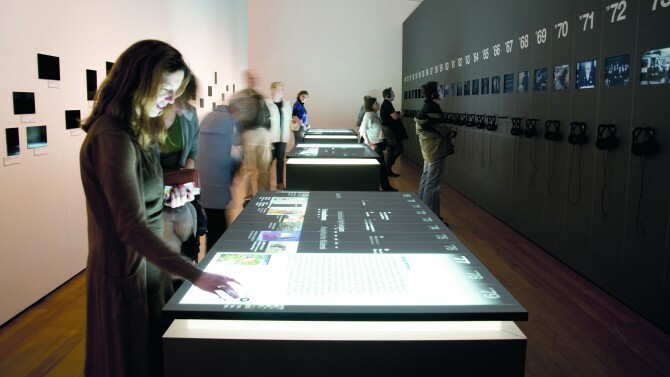 Each of the six touch-sensitive media tables documented a decade of art history. 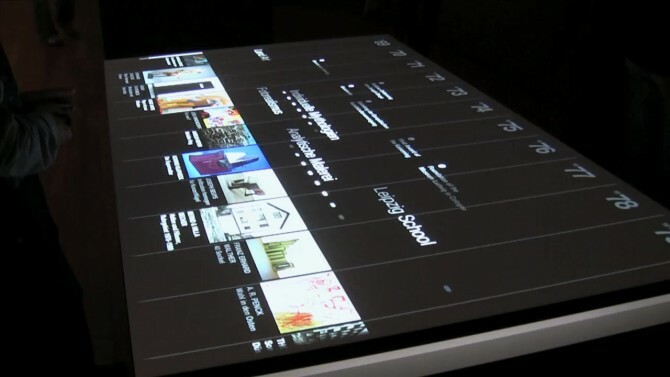 By touching the surface of the table, multiple visitors could simultaneously call up more information about the exhibited works, art movements and influential events in the art scene. 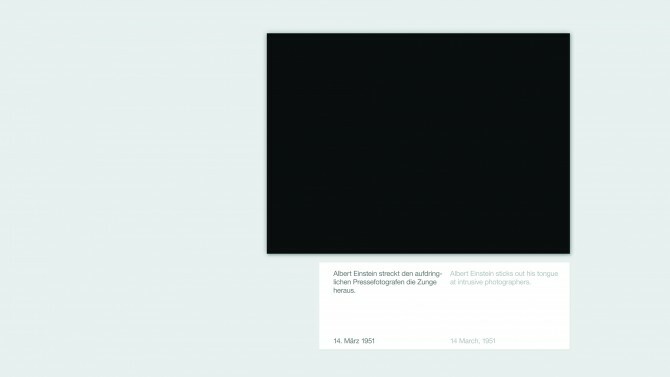 “Time images” encouraged the viewer to recall pictures from their own memories: black and white images bearing only a caption allude to well-known historical snapshots like Willy Brandt’s kneeling down. 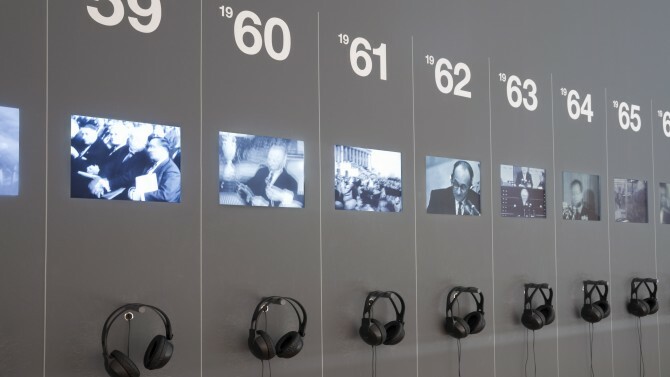 On the opposite walls, monitors showed one to two-minute short films summarising the most important events in politics, business, sports and culture of each year and completed the walk-in panorama.